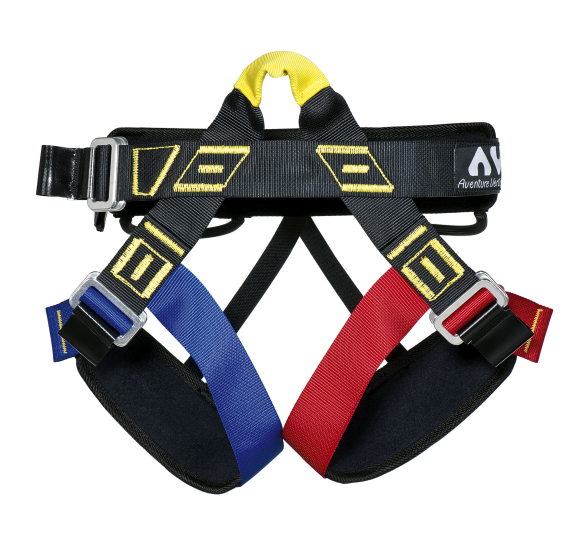 Climbing sit-harness totally adjustable. Based on the AVES05 Fast model but with a sliding belt and a thigh padding added for optimal adjustment range. Waist band and thigh loop adjustment by light alloy quick release buckles for easier collective use. Upper sheathed tie-in point. 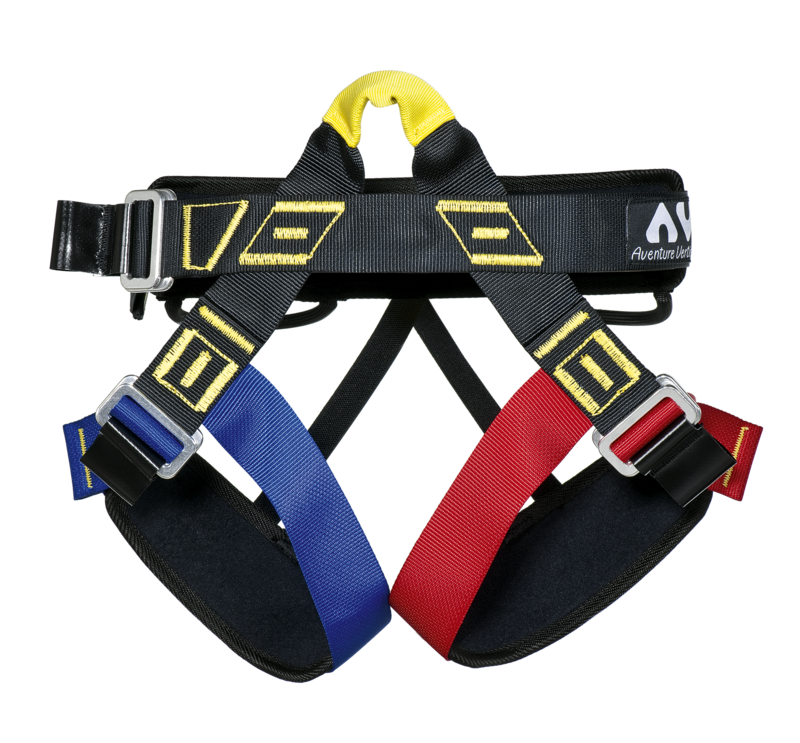 Waist band and thigh loop in 44 mm webbing for a better distribution of the user's weight. Too sheathed gear loops attached to the padded belt.